We love making your blonde dreams come to life, whether you’re seeking a total 180 or just looking to ‘have a little more fun’. Naturally, concerns and questions may come up when you’re lightening up, so we consulted our resident blonde aficionado, Sheneen Kasur, to illuminate us on this hot topic. 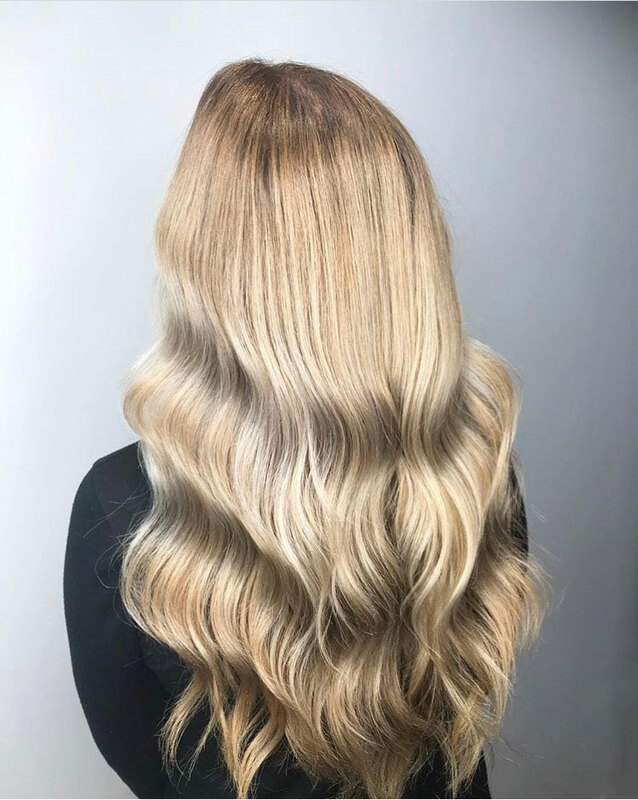 You can cruise Sheneen’s Instagram account to see her latest work - it’s brimming with beautiful blondes and balayages! Going from dark to light can be very intimidating, especially if you have previously coloured hair. Your lightening process is a strategy, and it’s important for stylist and client to get on the same page, review the plan and costs before the project begins. Keep in mind: as the dark lifts, don’t be surprised at the different stages and shades that might not be the desired look! As you lighten, the hair goes through phases; it’s important to keep the hair safe and intact rather than rushing or stripping your locks. Toner is your best friend throughout this journey! I always try and do something unique on everyone. Just because I have clients coming in for a balayage doesn’t mean I’ll do the same old backcombing and foils every time. I’m creating a different experience for each my clients - switching it up keeps them interested and happy! All of these blondes can also can be mixed together to have dimension . Using purple shampoo and conditioner will help maintain your blonde and keep it looking fresh and not brassy. Washing hair in cooler water helps to maintain the toner. When heat is exposed to the hair, it opens up where that colour is sitting and pulls it out. Using low heat when styling tools will help maintain colour. Smoking can cause your hair to go brassy faster. Try washing your hair every 2-3 days if possible, as the more you wash your hair the dryer it will become. We need those natural oils from our scalp to help keep our hair happy and healthy. Long blondes should come for trims every 8-10 weeks. Split ends love to make friends and travel up the shaft. Investing in great products makes hair easier to maintain and brings out the best in your services! “Being a stylist that specializes in blondes is one of the most satisfying things I can do. I love being blonde and I love making others feel bright and beautiful! I love the huge transformation factor; I love seeing the big smile on my clients face. It’s not always easy but it’s well worth it. I’m always learning and experimenting, trying as many different patterns as I can think of to expand my bleaching techniques. Newer PostThe 12 Days of PoHo Christmas Sale!